The impressive causal interpretation has been inspired from the Video game “Metal Gear Solid” and it is worn by its one of the characters in it. The nice click is the Diamond Doss symbols right on the front. 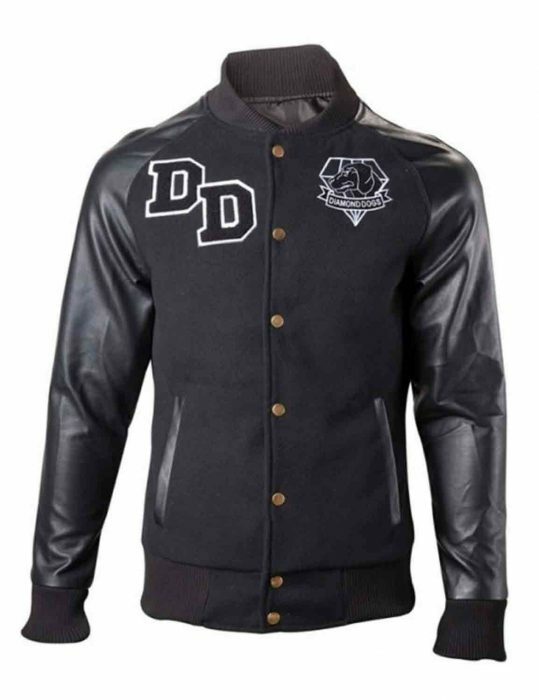 The entire outer-attraction of this appearance is rib-knitted in fashion while Diamond Dogs Jacket embraces black color crafted from wool blend and faux leather sleeves. .who cannot live without their favorite inspirational wearable, it’s like their lucky charms. 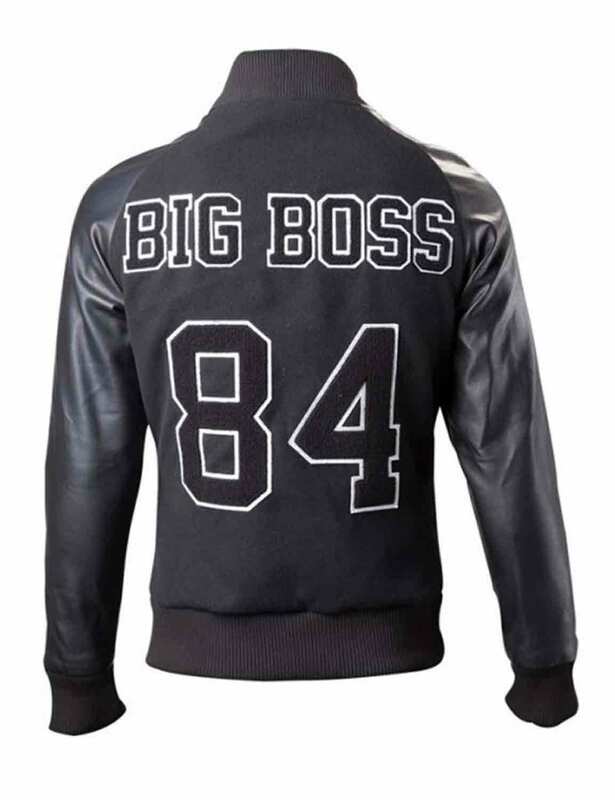 If you are willing to confer to Metal Gear Solid Diamond Dogs Jacket with a thoughtful imperative all you need to do is through a fan fair with these super-standing cosmic fashion into your universe. Well made jacket with great dual fabric composition! Well made jacket with great dual fabric composition! What a great gaming outfit inspired from the game of my childhood. Now enjoying my young adult age and had an accident glare over the screen while going on for the buy. Had definitely ordered this one and reviewed even before getting it because I’m not a new buyer here and this online platform is one of the greatest genuine garment makers I’ve found online. Great garment with outclass detailing. Great garment with outclass detailing. The Metal Gear Solid is one of my favorite stealth action games of all time and this garment truly delivers the Diamond Dogs emblem to exceeding remarks. The two material combination is spot on and the detailing is far more superior than I expected. What a great garment endorsing screen tear down appeal to far-fetched potentials. I’m really surprised how this article came out and it is amazingly as depicted on the website. Brilliant and the medium fits me really well. Some seriously clothing passionate team you got there. A full star rated product! Feels so Screen Original. Wow! This game inspired garment is worth buying when it comes to its thorough detailing and economical price range. Im impressed guys!! Amazing Jacket!! Great garment for the price. Sturdy quality and neatly crafted as well. Thank you so much! Though, sleeves are too much lengthy for me wearing as a medium fit and I would recommend everyone to go through the given size chart on the website. On the whole, this wear is something really extraordinary to grab and gear on.